Will Poland’s Push for Better Cancer Care Hit a Wall? The new government’s healthcare plans could derail promising oncology reforms. It was, in a sense, the plane crash that changed cancer care in Poland. When the crash killed Polish President Lech Kaczyński and members of his far-right PiS party six years ago in Russia, Poland’s resulting lurch toward liberal reform included an ambitious plan to upgrade state-financed oncology services. The plan became law in 2015, and it couldn’t have come soon enough. One in four cancer patients experienced treatment delays of five to six months in Poland, contributing to its low five-year survival rate and one of Europe’s worst cancer mortality/incidence ratios. With Europe’s fastest-aging population, the country has been facing a cancer epidemic. The new oncology initiative, which won support after a government-led study highlighted the problems, called for a radical upgrading of Polish cancer care. But now, less than two years after the oncology reform’s passage, the PiS government elected last year is calling for healthcare-system changes that threaten to set back the battle to improve oncology. Among the many proposed changes is a tight limit on public-hospital spending, along with a total loss of public funding to private hospitals, all of which would make it more difficult to provide good cancer care to all those who need it. So warns Barbara Wieckowska, the official who directs the department that spearheaded the oncology reforms. “Hospitals will say they can’t treat patients under these budgets,” says Wieckowska. The results could once again leave Poland trailing far behind the standards of Western European cancer care, just as the country was starting to close the gap. The oncology reform package came about after years of fruitless policy debate among Polish lawmakers. Hoping to turn the tide, leaders in the centrist government in 2013 challenged statisticians and economists within a new Department of Analyses and Strategy to propose a reform based on patient data and healthcare economics analyses. Wieckowska, an assistant professor at the Warsaw School of Economics specializing in social insurance, was tapped to head the new department. The team drew patient data from Poland’s National Cancer Registry and the National Healthcare Fund, but quickly discovered that much of the data was inaccurate or incomplete. Even though oncologists are required by law to enter patient information into the Registry, Wieckowska notes, not all doctors complied. Her department concluded that those data shortcomings caused prior studies to dramatically underestimate Poland’s cancer incidence rates — by at least 30 percent. Correction for the troubled data revealed systemic problems in Polish oncology practices that were increasing costs even while reducing the quality of care. As reported in a 2016 paper published in the Journal of Cancer Policy, Wieckowska’s team determined that per-patient hospital-bed days for cancer treatment in Polish hospitals were triple the number in other developed countries, reflecting a glaring inefficiency in Polish oncology care. In particular, excessive hospitalization for diagnosis, chemotherapy and radiotherapy were determined to cost US$360 million (PLN 1.4 billion), with those unnecessary costs making up an eye-opening 23 percent of total cancer care spending in the country. “In many cases we found that the cost to hospitalize patients exceeded the cost of the actual oncological procedure,” says Wieckowska. Not only were patients unnecessarily hospitalized, but Wieckowska also determined that long waiting periods for diagnosis and treatment complicated what should have been more straightforward cases, resulting in patients requiring more advanced and expensive therapies. That was one reason that Poland’s cancer outcomes lagged those of other European countries even while its cancer spending nearly matched those countries. “We wanted to find a way to spend the money we had more effectively rather than increasing spending,” says Wieckowska. Wieckowska was convinced that boosting efficiency hinged in part on persuading doctors and patients to refocus care on outpatient clinics. Based on statistics from France and Australia, the department argued that chemotherapy and radiotherapy treatments could be safely administered at ambulatory care centers, rather than on an inpatient basis, far more often than it normally was in Poland. The shift would save the National Healthcare Fund US$265 million (PLN 1 billion), the department calculated; money that could be used to expand chemotherapy and radiotherapy clinics across the country. At the same time, a new emphasis on outpatient clinics would extend the availability of many treatments to rural locations, rather than forcing patients to travel long distances to hospitals in urban centers. Additionally, the reform would establish a maximum waiting time of nine weeks between diagnosis and treatment. Current plans include working with cancer-patient organizations to provide patients with better information about specialty care, and helping steer them to whichever hospital could best treat their particular cancer. While Wieckowska’s package called for lifting limits on chemotherapy treatment spending, it also included investigating ways that less-costly therapies could take the place of the most expensive ones without a significant penalty in outcomes. “If you have less money, do you still pay for the best, newest therapy, or just a therapy that is good enough?” she asks. The reforms were ratified in early 2015. Wieckowska says most major hospitals have welcomed the changes, and a survey indicates that 98 percent of patients are satisfied with the reform. Wieckowska insists the changes are resulting in a drop in Poland’s cancer mortality rates for the first time in 20 years. But now the improvement could become a casualty of the political shift that has placed the PiS back at the country’s helm. The party wants to implement a major change in how healthcare is paid for in Poland. Currently the country relies on employer payments to the National Healthcare Fund to enable the Fund to cover the cost of care at both private and public hospitals, with each patient’s treatment billed to the Fund. One problem: only employees and their families are covered by the Fund, leaving some 2 million people, or five percent of the population, forced to pay for healthcare out of pocket. The PiS wants to extend coverage to all citizens by offering free care at public hospitals. But to make that coverage affordable, the government plans to cap budgets at every public hospital, regardless of how many patients are treated and the type of care provided. What’s more, the plan calls for freezing out government payments to private hospitals altogether, forcing patients at these institutions to rely on out-of-pocket payments or private insurance, while pressuring some private hospitals to become public. The impact on the quality of cancer care could be severe, warn experts. The National Healthcare Fund has already long been criticized by doctors and patients for insufficient coverage of cancer treatments. A study carried out by the Alivia Foundation found that the Fund did not reimburse 12 out of 30 cancer drugs that are available in other European countries. While the 2015 oncology reform increased spending on chemotherapy treatments, some healthcare professionals maintain that even these higher levels are inadequate. 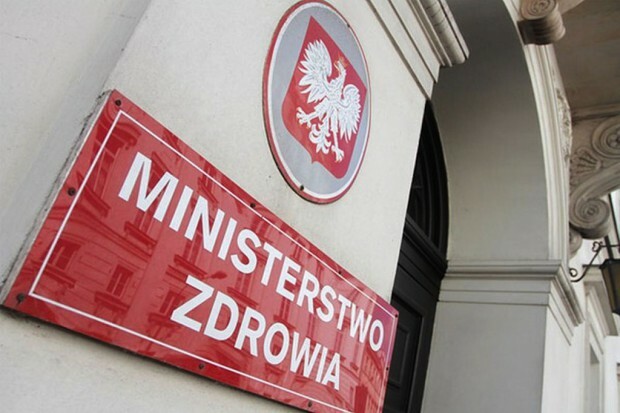 That problem would likely get far worse under the PiS scheme, critics say, in spite of claims by the government that new taxes, along with administrative savings from abolishing the Fund, would enable maintaining funding. Wieckowska fears that capping budgets at hospitals would disincentivize them to effectively treat all the patients who need cancer care, given the frequently higher cost of that care compared to treating other diseases. Until the PiS formally implements its plan for a new healthcare system, Wieckowska says her department will continue to work to improve the current system. In the meantime, providers and patients can only wonder whether the PiS agenda will further the progress that’s been made in the past two years — or derail it. Ben Rabin is an associate editor at GHCi. Global HealthCare Insights / Industries / Finance / Will Poland’s Push for Better Cancer Care Hit a Wall?